Bring some of the super fashionable animal print into your home. This is a simple plant holder tutorial that brings out your creative side. There’s so much of my favorite animal print around this year. 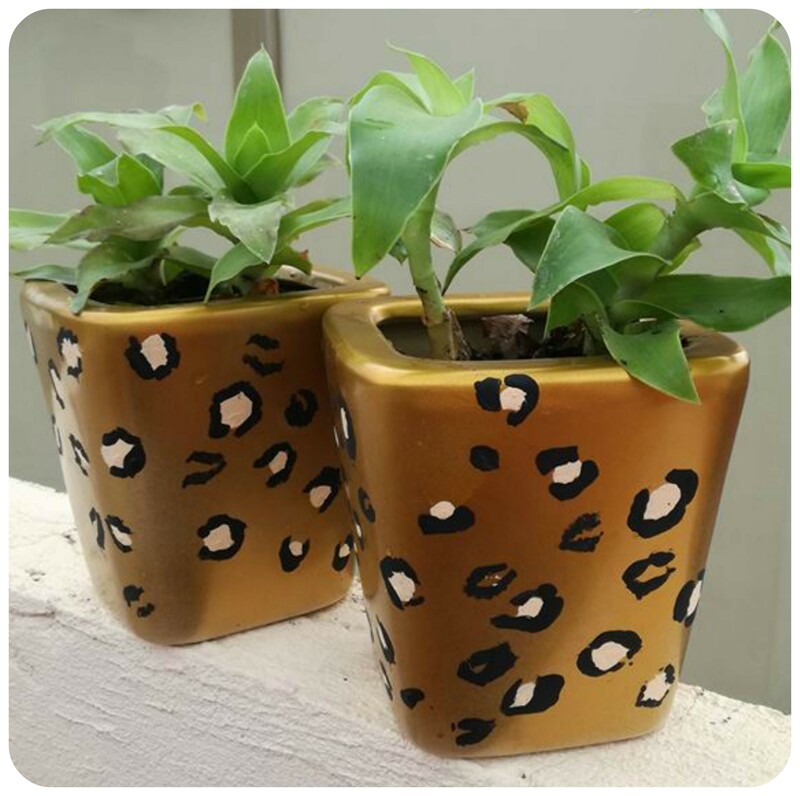 I have classic leopard spots in my wardrobe all of the time, but it’s having a real fashion moment right now – so I’ve been inspired to bring a little of it’s fun jungle spirit into my home decor too, starting with these cute painted plant pots. Gloss or enamel paint in 2 other shades – There’s no rule to the color combos, you can really go as classic (black, white and tan) or as wild as you like! Have you spray painted before? It’s really easy, relatively cheap – and very addictive! So be warned, you might find yourself gathering random objects from around the house, or eyeing things up in the dollar store for potential spray jobs! You will need to make yourself a well ventilated and protected space to spray, so if the paint strays it won’t ruin your decor/ floor tiles /car! or anything like that. I have a workshop space outside, with an old door and a sack that suits me fine, but a large cardboard box also works well. 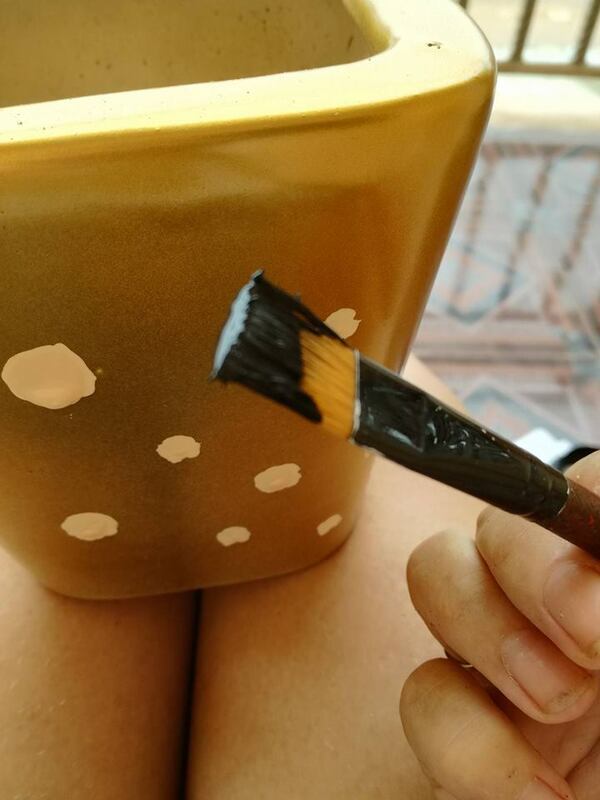 Give your plant pots a clean, so there’s no dust or greasy marks that will stop the paint from holding and make sure they are dry before you start too – My pots were $3 each and were a little bit ‘soiled’ when I bought them from the gardening store so they needed a good scrub. Now, set your plant pot on top of your base in your spraying area. This base will allow you to turn the pot around without touching the paint. Take off the big safety cap from the spray can and shake the can for a few minutes to mix the paint. Not for just one minute – make like Tom Cruise in Cocktail and shake, shake, shake! It’s good exercise too! Then for the first spray, turn the can away from the pot and give a quick squirt, because the first spray usually spatters and you don’t want drips on your pot. You should hold the can 6-8 inches away from the object and keep moving your hand, giving a light, even layer of paint, then turn the base around and spray the other sides. Don’t get heavy handed and spray too much paint per layer, or it will drip. But seriously, don’t worry about a few drips for this project, as you can cover them in leopard spots later. Don’t worry if the coat doesn’t look even – take a look at my first coat in the photograph below, it’s a bit patchy. Do allow it to dry completely before you put on the next coat (it’s like a manicure!) My pots got three coats in total. After your background color is completely dry, you can pick up the pot and start to add spots. You can be precise and neat with these if you like, but as you can see, I made mine quite uneven. Then allow to dry completely. Next you can start to build up the leopard print in black around each of the spots. Aim to create uneven ‘horse shoe’ shapes or ‘kisses’ around the spots and don’t try to make them too perfect. Add a few extra, smaller black prints in the background too. Tips: don’t put too much paint on the brush and then press the paint onto the pot with the flat end a few times to make the messy ‘lipstick kiss’ shape. When you are happy with the coverage of spots, just allow to dry again and then you can fill them with whatever you like. Pens, makeup brushes, Lego blocks, cotton wool balls, or plants for instance! Notes: The pink and black acrylic paint I used was quite matte, so I will give my pots a spray of top coat (so that’s why I suggest using gloss or enamel) and next time I will use a smaller brush (mine was an inch thick) as it would be easier to handle for the small prints. But I am super happy with my funky new home additions, and they look great in my reading corner with my pink leopard cushions and gold pineapple lights! 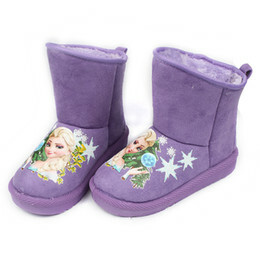 Gilly Quigley is a freelance writer and regular contributor to https://www.easyprices.com/.